Meanwhile in Mexico City, authorities discovered a tunnel beneath an industrial building in Mexico City that was dug by fuel thieves to place illegal taps on five different pipelines. Pemex CEO Octavio Romero said taps were found on all five pipelines, which varied in size from eight to 14 inches and carried magna and premium gasoline, diesel and aviation fuel. 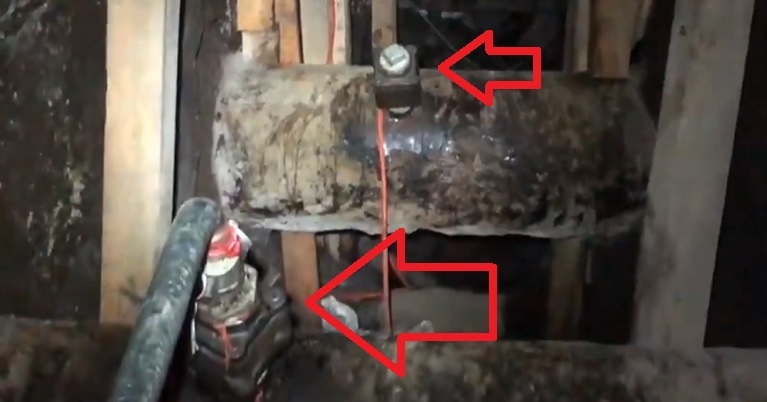 “Within the property there is a tunnel where we can see five pipelines that transport fuel from Tula [Hidalgo] to Mexico City and México state and we can [also] see five illegal taps,” Romero said in a video posted to Twitter. The Mexico City tunnel that led to five pipeline taps (Photo: Mexico News Daily). Hoses were connected to the taps to transport the fuel to a large parking area where it was presumably loaded into tanker trucks. While thousands of illegal pipeline taps are detected each year, they are not often found connected to tunnels or in such heavily populated areas. The owner of the property, located in the northern borough of Azcapotzalco, said he had rented the building to supposed business people but they abandoned it in recent days after failing to pay rent for two months. Mexico City Mayor Claudia Sheinbaum said that safety authorities and Pemex had indicated that there was no risk to the local population from the illegal taps. She said that nearby properties where there might be a “similar situation” are being reviewed. No arrests have been made and the whereabouts of the building’s recent tenants is unknown. The discoveries in Guanajuato and Mexico City come amid a crackdown on fuel theft by the federal government, which has deployed the military to protect petroleum infrastructure and closed some major pipelines. The latter part of the strategy caused widespread and prolonged gasoline shortages that persist in some states.